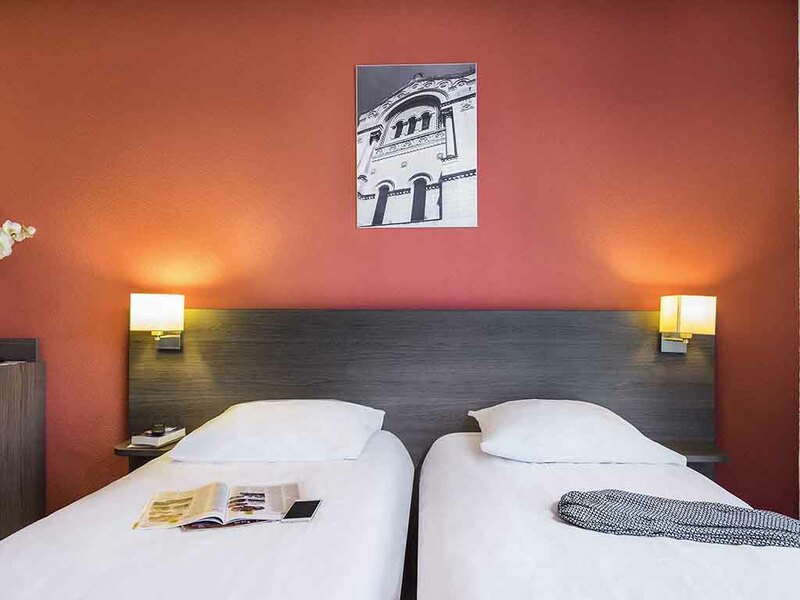 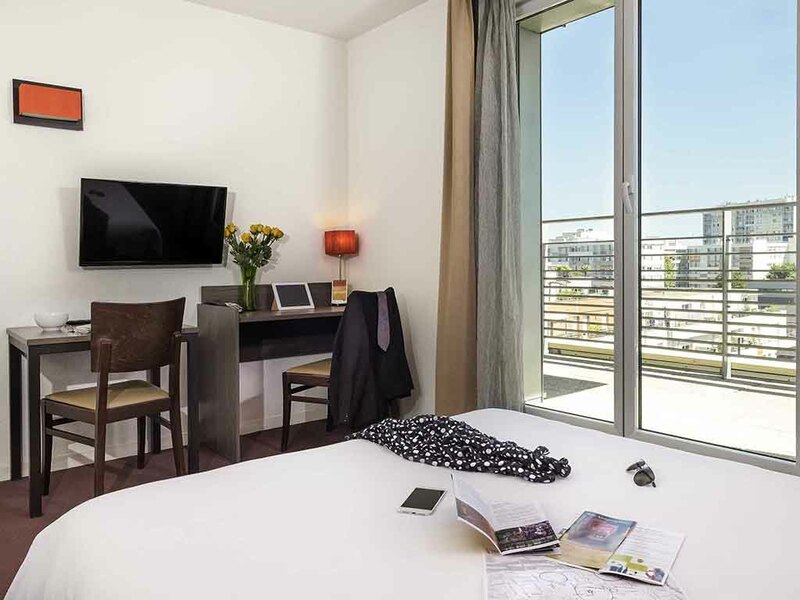 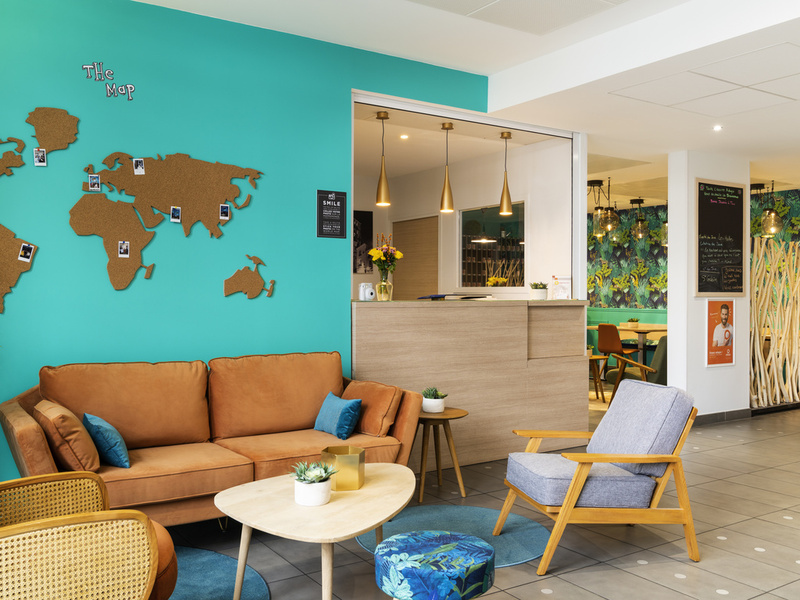 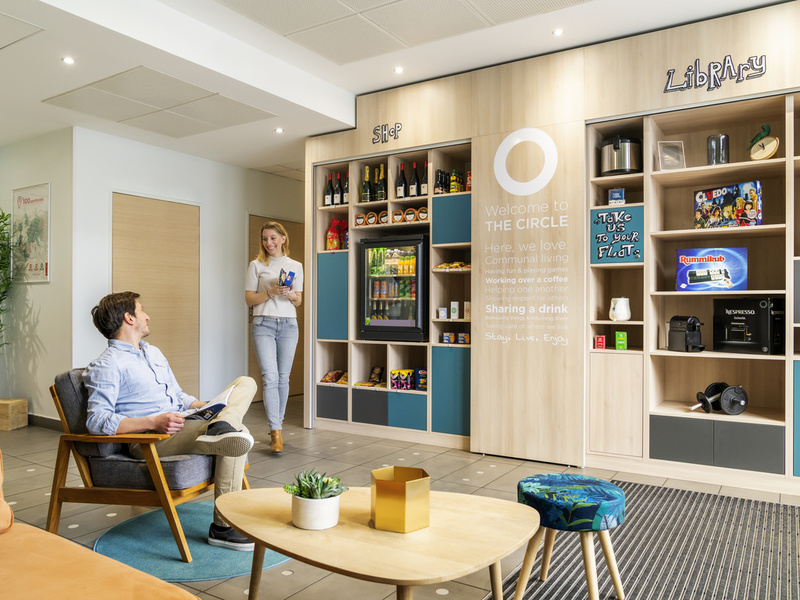 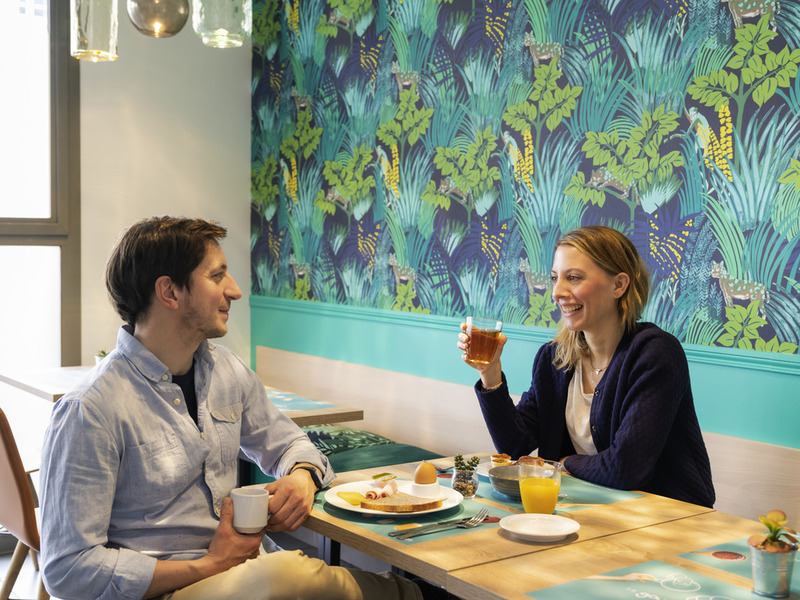 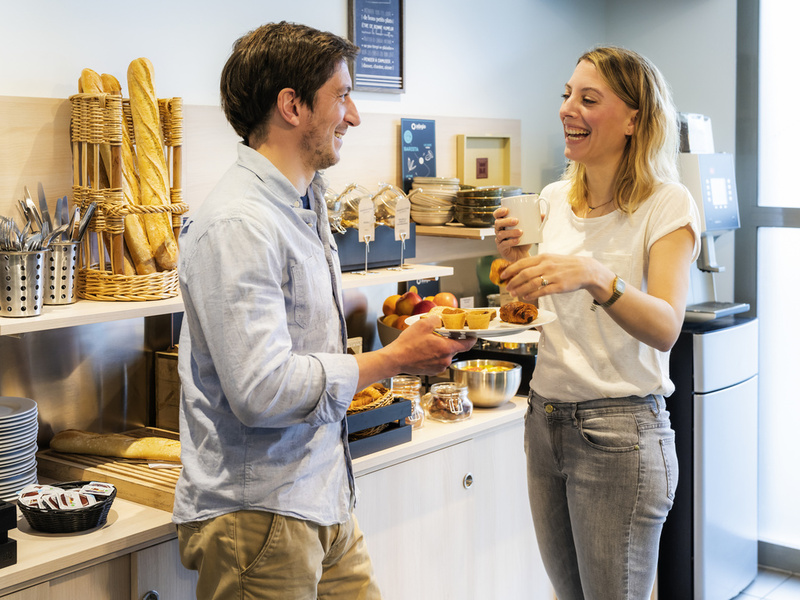 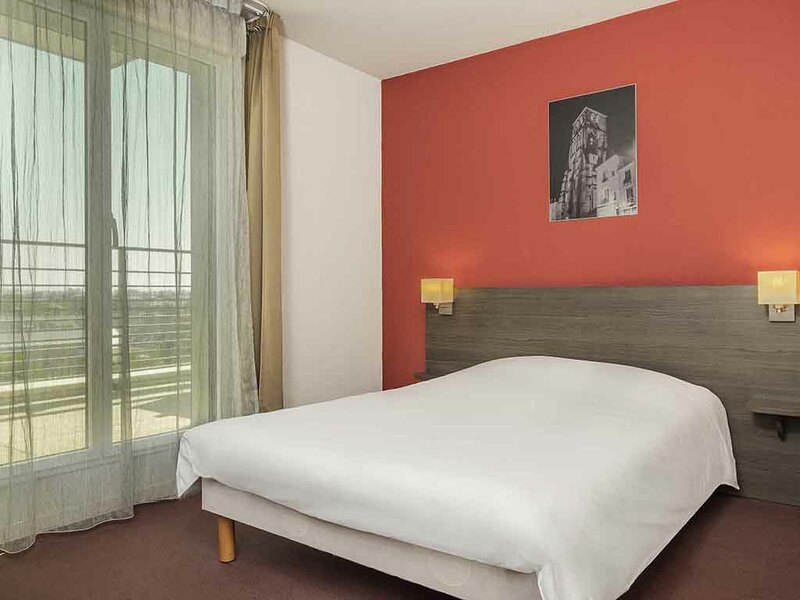 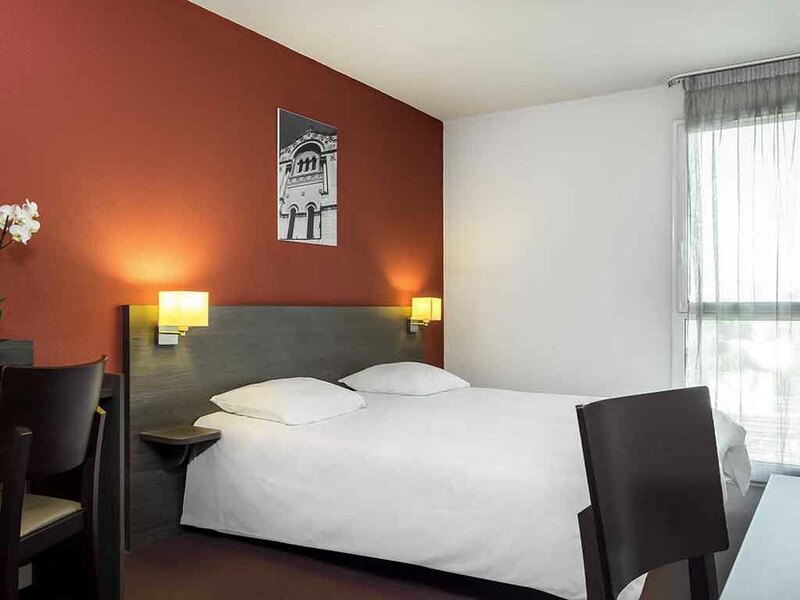 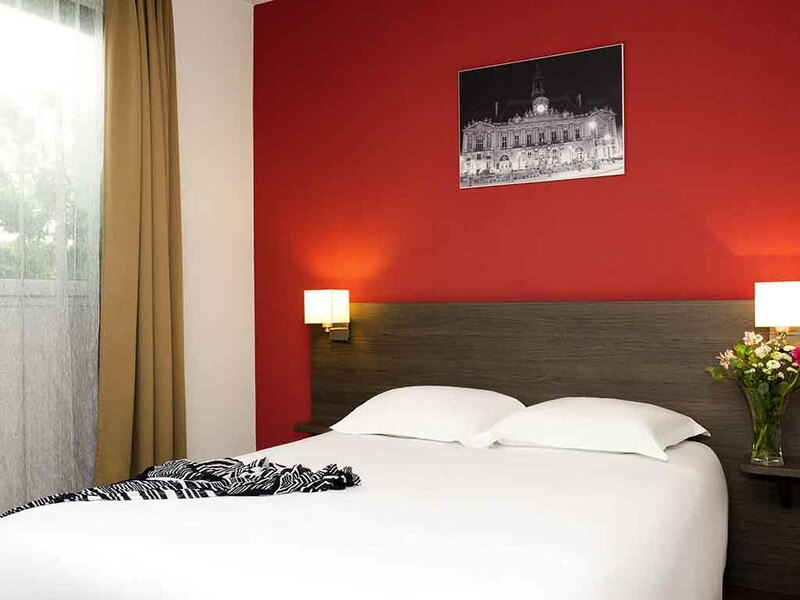 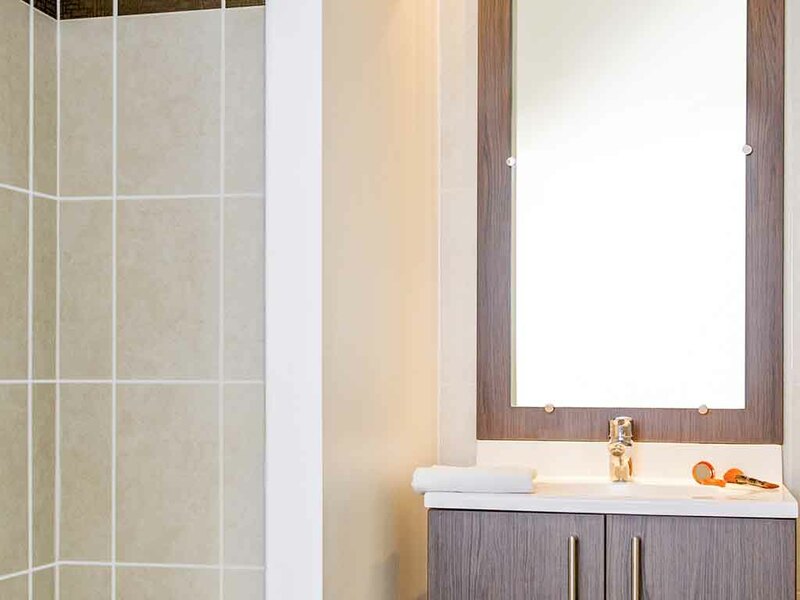 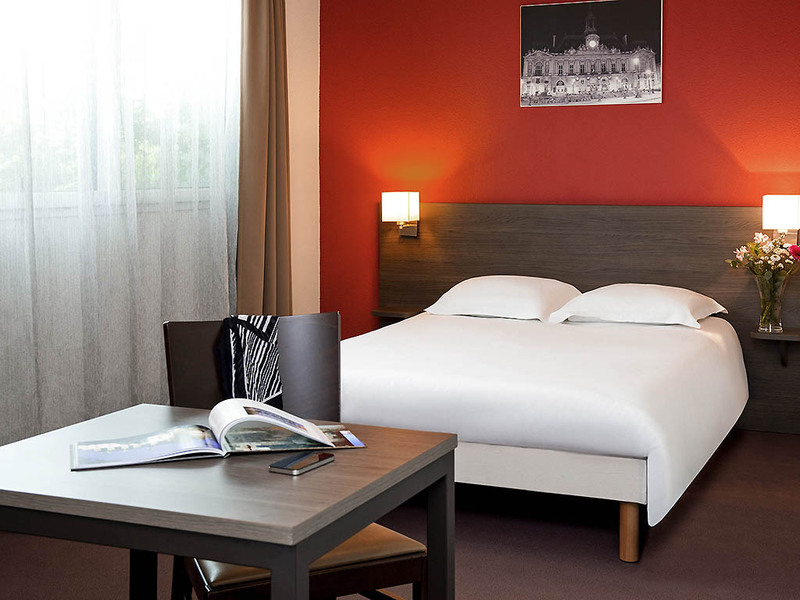 The Adagio access Tours aparthotel is just a 5-minute walk from the TGV train station and the various nearby transport links, including bus and tramway services, will allow you to quickly make your way into the city centre. 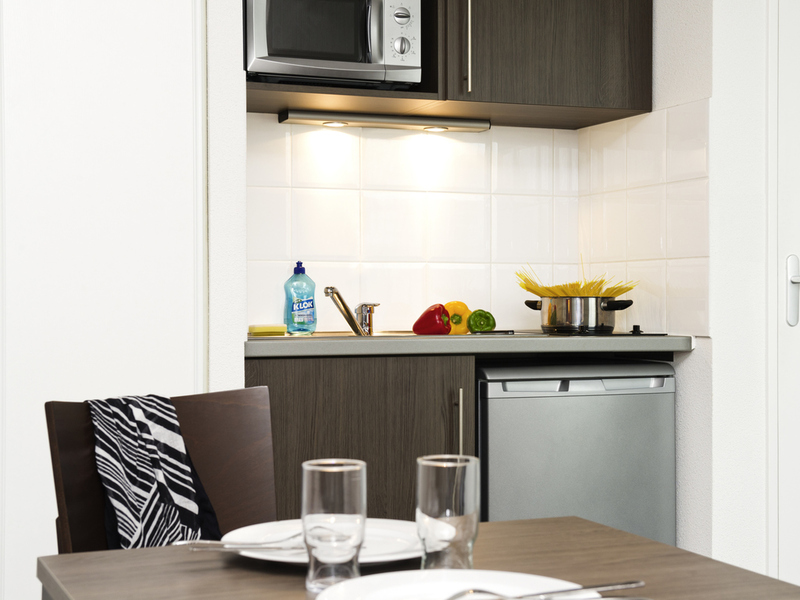 Our 98 apartments, ranging from studios sleeping 2 people to 1-bedroom apartments sleeping up to 4, are completely furnished and fitted with a fully-equipped kitchen. 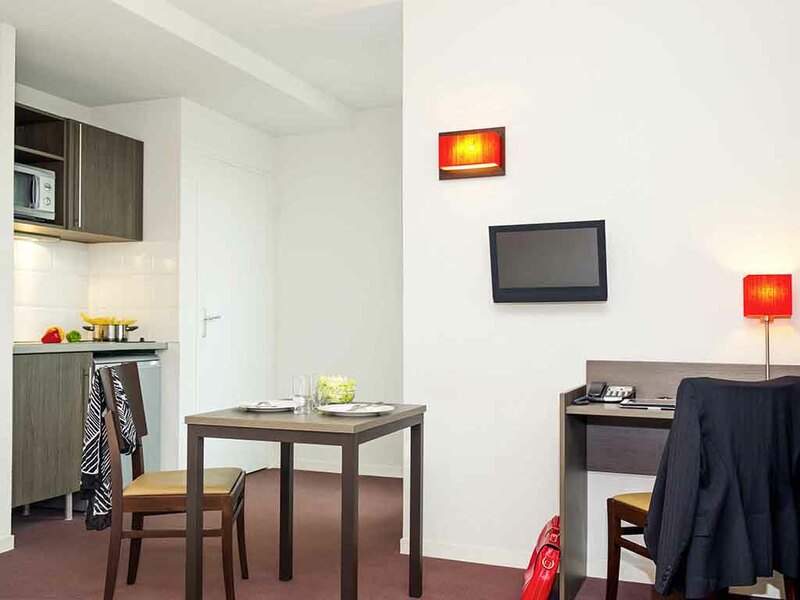 Guests benefit from access to a private covered car park. 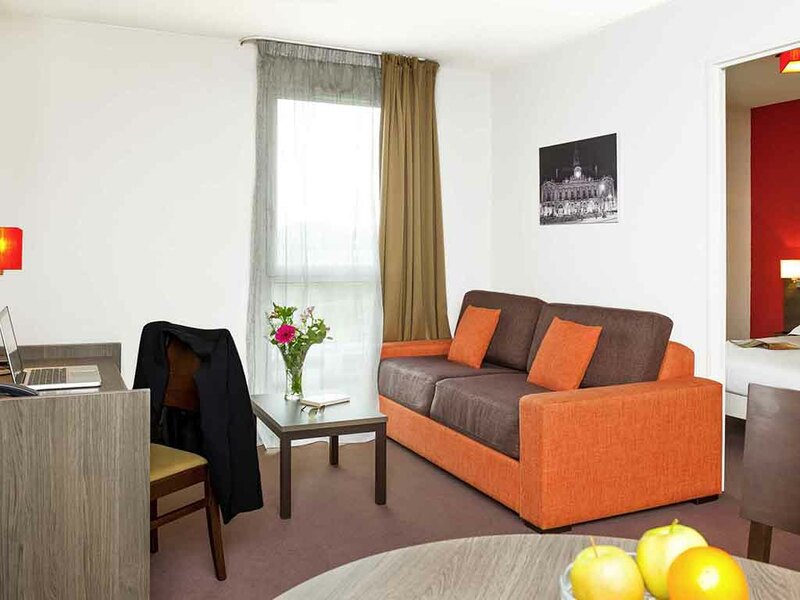 Lounge with 1 double bed, fully equipped kitchen, desk space, telephone, bathroom with shower and toilet, TV and high-speed Internet. 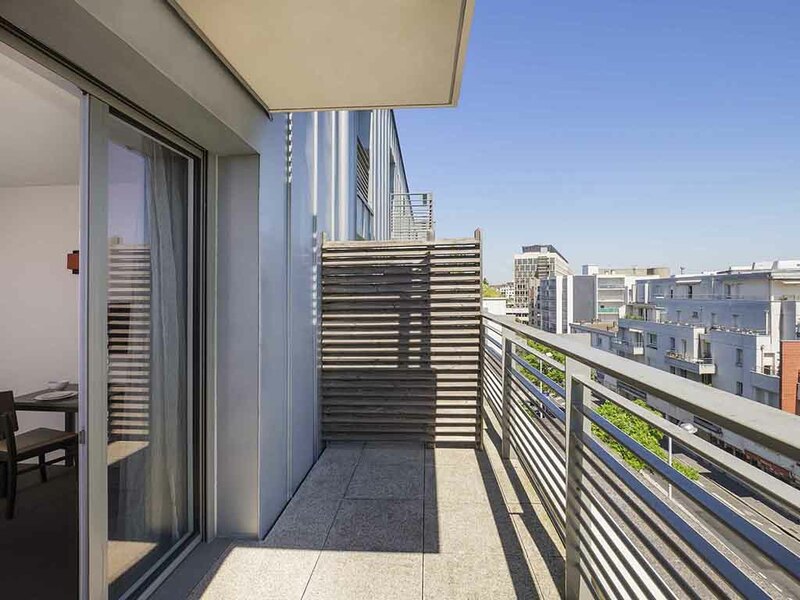 Combine practicality and pleasure by choosing this studio with a balcony. 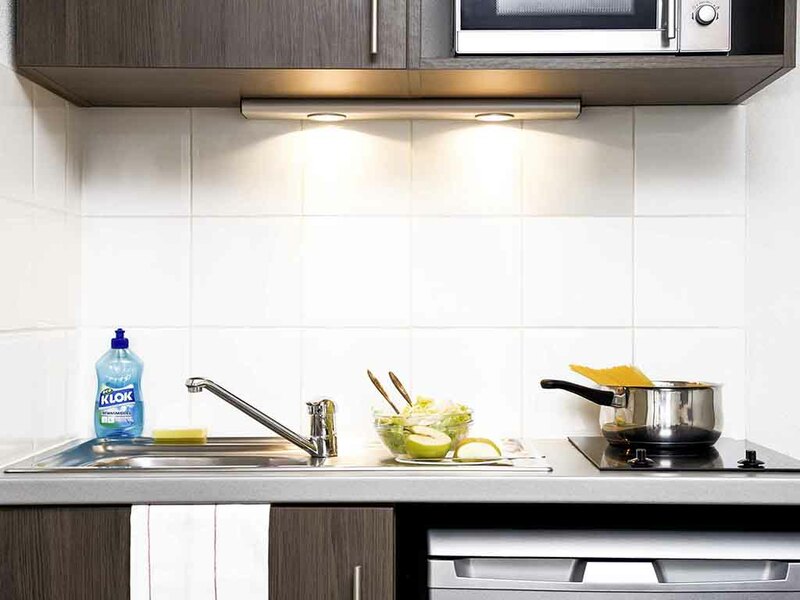 The kitchen is equipped so that you can prepare your own meals. 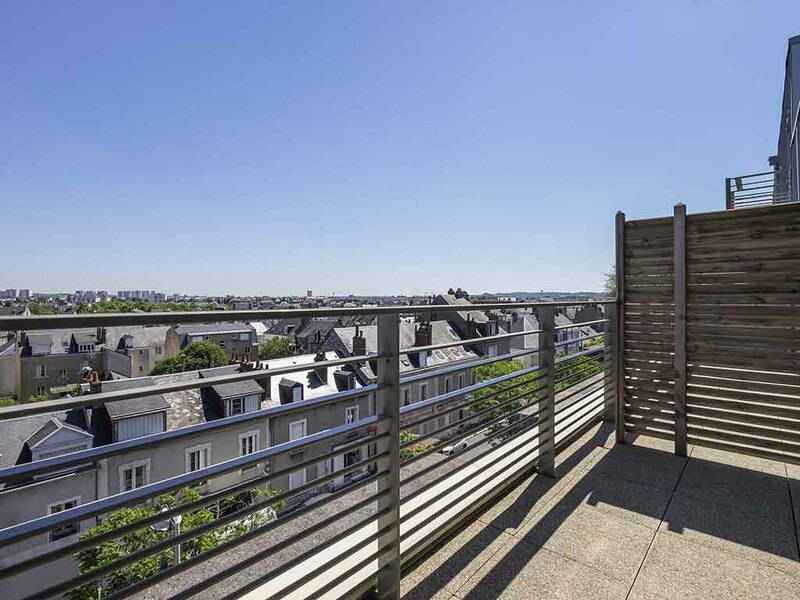 Enjoy some fresh air on the balcony, whatever the season. 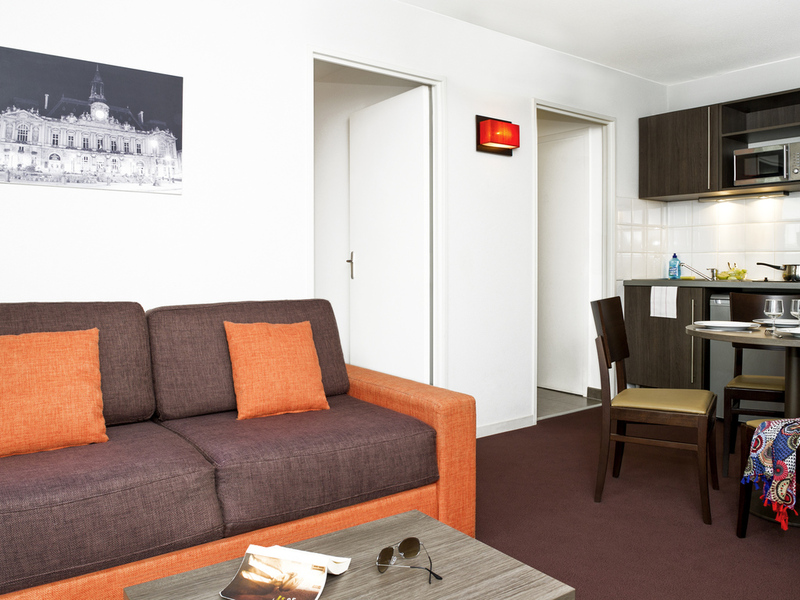 Lounge with twin beds, fully equipped kitchen, desk space, telephone, bathroom with bathtub and toilet, TV and high-speed Internet. 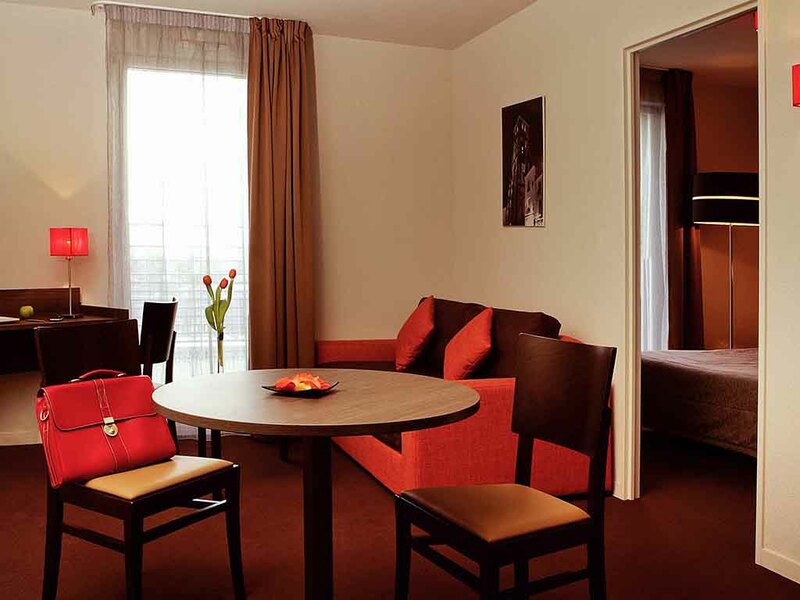 Lounge with double sofa bed, 1 bedroom with double bed, fully equipped kitchen, bathroom with bathtub and toilet, TV, telephone and high-speed Internet.